The decision is the culmination of an appeal initiated by a group of individual property owners and the public interest group Futurewise (collectively “Petitioners”), who challenged the adequacy of Whatcom County’s comprehensive plan. The Petitioners alleged that the County did not adequately protect the availability of water supply or water quality. Among other things, the Petitioners argued that the County’s comprehensive plan did not comply with the GMA because the County’s standards governing building permit and subdivision applications did not require the County to assess whether proposed groundwater withdrawals necessary to serve development would impair minimum instream flows. In general, the GMA requires counties to adopt a rural element as part of a local comprehensive plan that includes “measures that apply to rural development and protect the rural character of the area” by “[p]rotecting… surface water and groundwater resources...” RCW 36.70A.070(5)(c)(iv). In addition, other land use statutes, including the subdivision act, RCW 58.17.110, and the state building code, RCW 19.27.097, require cities and counties to confirm water supply is adequate to serve the proposed development. The Petitioners challenged the County’s efforts to comply with those GMA requirements in their appeal to the state Growth Management Hearings Board (“Board”). The central issue in the case explored the extent to which the County is required to assess building proposals that rely on so-called “exempt” wells for groundwater withdrawals to serve the new development. The County’s standards that were the subject of the appeal prohibited development that relied on a proposed well in an area where the Department of Ecology (“Ecology”) has “determined by rule that water for development does not exist.” With that approach, the County incorporated Ecology’s governing instream flow rule into its regulations to determine whether a proposed permit-exempt withdrawal was legally available. 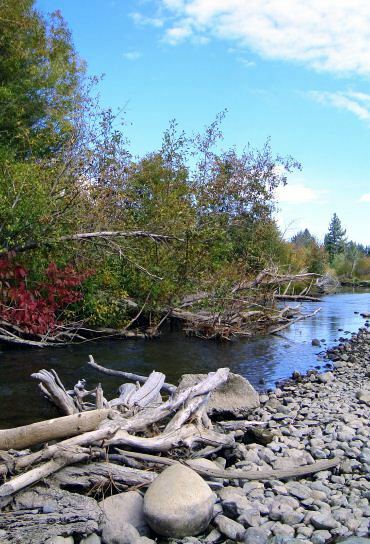 The instream flow rule establishes the minimum amount of water flow that must be maintained in a stream or river to protect and preserve instream resources. The County also relied significantly on Ecology’s interpretation that the instream flow rule does not preclude new permit-exempt withdrawals. …[T]he rule in Washington is that groundwater appropriations cannot impede minimum flows. It would be incongruous to limit Postema to the holding that Ecology must consider the effect of groundwater appropriations on minimum flows when issuing permits but that the county does not need to consider these same impacts when issuing building permits. As noted in the dissenting opinion, the Court’s decision has significant practical consequences in the building permit and subdivision approval context. It would “require individual building permit applicants to commission a hydrogeological study to show that their very small withdrawal does not impair senior water rights, and then have the local building department evaluate the adequacy of that scientific data.” Additionally, the decision may open the door to more litigation of specific development approvals. Even though Hirst is a GMA case challenging the adequacy of GMA development regulations, the Court’s analysis of statutory criteria for permit approval may have a broader reach and could be used by opponents of specific building permits or subdivisions under the Land Use Petition Act. Finally, and perhaps most importantly, the practical effect of the decision may be to limit significantly the ability to develop land outside of public utility service areas where permit-exempt withdrawals were the only source of water. Finally, this case also addressed protection of water quality under the GMA in addition to water availability. The Supreme Court affirmed the Board’s holding that the County’s measures protecting water quality did not comply with the GMA. While the Court confirmed that the GMA standard does not require the County to adopt measures that enhance water quality issues, the Court emphasized the County’s independent duty to protect water quality and confirmed the Board’s holding that the County did not comply with that requirement on the basis of generalized evidence of water quality problems. For more information on the Hirst Decision, or on any land use/water-related development issue, please contact Tadas Kisielius, Adam Gravely or Duncan Greene.